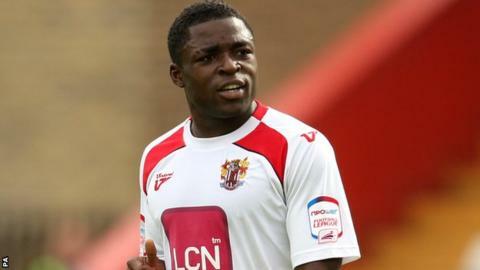 Conference side Woking have signed Nigerian striker Yemi Odubade on loan from Eastleigh until 25 April. The 30-year-old began his career in England with Eastbourne Town, where he scored over 70 goals in two seasons. After spells with Oxford and Yeovil, he joined Stevenage and scored 13 goals in 2009-10 to help them win promotion to the Football League. Odubade joined Eastleigh from Gateshead in 2013 and has made 16 appearances for the Hampshire club this season.